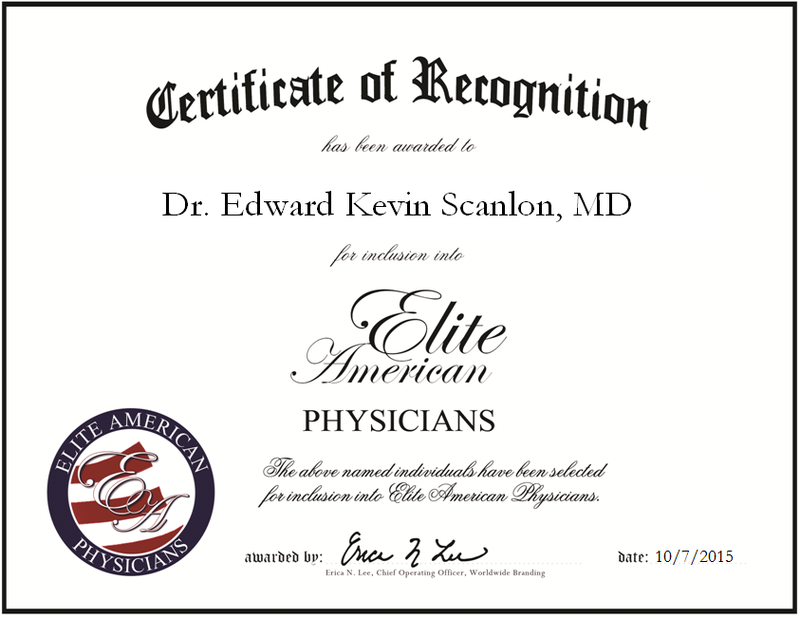 Lake Mary, Florida, October 7, 2015, Dr. Edward Kevin Scanlon, MD of Pulmonary Practice Associates, has been recognized by Elite American Physicians, for dedication, achievement and leadership in pulmonary medicine. Dr. Scanlon has 26 years of experience with Pulmonary Practice Associates. Each day, he is responsible for going to the hospital to do initial rounds, seeing patients in intensive care or at his office. He performs procedures in between rounds and Endobronchial Ultrasound (EBUS) scans. Dr. Scanlon attributes his success to his passion for his career and because he enjoys what he does; he finds his job very satisfying. He became involved in his profession because he enjoys working with people and is passionate about life sciences. Dr. Scanlon received an MD from the University of Missouri in 1984. He maintains affiliation with the American Thoracic Society, the American Medical Association and the Board of Medical Associations of the American College of Chest Physicians, Board of Medical Associations. In years to come, Dr. Scanlon intends to continue providing the best possible care for his patients, and do so in a time of a dynamic change in the medical field. This entry was posted in Pulmonary and tagged critical care, endobronchial ultrasound, intensive care, patient care, pulmonary medicine, Sleep medicine, treatment. Bookmark the permalink.